37 ActivesHigh Performance Anti-Aging Cream, 1.7 oz. Use morning and night over clean skin. Apply to entire face, including the eye area. For all skin types. 37 Actives is Made in the USA from ingredients sourced in the USA, including USDA-certified organically grown plant extracts. Contains no growth factors and has not been used in animal testing. Reductions in the appearance of wrinkles, redness and brown spots after twice daily use starts at a minimum of 4 weeks with gradual further improvement over the course of 12 weeks as detected by computer analysis in clinical trials. 37 EA is safe for long-term use and the longer you use it, the more natural and better the results over time in all anti-aging categories. Tired of the endless array of skincare products currently on the market? 37 Extreme Actives takes the guesswork out of your anti-aging skincare routine by targeting all categories of skin aging, including: wrinkles, redness, and brown spots. 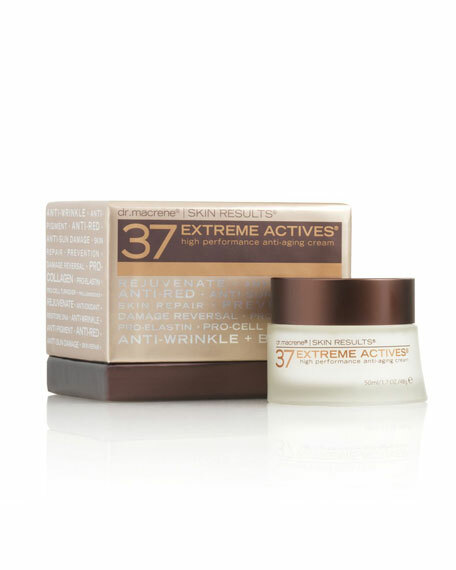 A safe and effective one-step skincare solution, 37 Extreme Actives combines the best, proven anti-aging ingredients into one remarkable cream.